​The Rotary Foundation is the $1 billion charitable arm of Rotary International. To mark the centennial, Rotary aims to raise $300 million by July 2017 for its campaign to eradicate polio and for service in communities around the world. Amazon Smile is a great opportunity to raise funds for scholarships. Amazon will donate 0.5% of the value of your purchases. 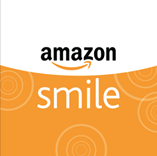 Click here to set Gulf Breeze Rotary as your preferred charity, then always go to smile.amazon.com to buy stuff. Rotary Global Rewards is our exciting member benefits program featuring discounts and special offers on travel, dining, shopping, and entertainment. It’s easy to redeem rewards and save on future Rotary projects. Every active Rotarian or Rotaractor is automatically eligible to participate.